At JPMorgan Chase & Co., corporate responsibility always has been central to how we do business, starting with operating with integrity in all we do and extending to all the ways we help our clients and communities navigate a complex global economy. We strive to develop innovative programs that leverage the core strengths, capabilities and expertise of our business and our people – and those of our partners – to maximize our impact. JPMorgan Chase is profoundly optimistic about how much can be accomplished when people come together to do extraordinary things. 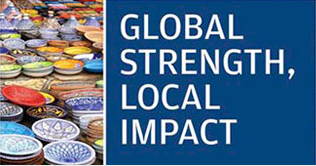 Subscibe to this Newsletter Global Strength, Local Impact is a quarterly update that highlights the ways JPMorgan Chase is using our scale, resources and expertise to make a positive impact in the communities where we live and work.